They should really use the term "side A" and "side B" for the records and singles. I have original pressings of this on wax and CD as well as the MoFi release. It is in no need of a remaster, being one of the greatest, warmest records I've ever heard. I've a collection of rough outtakes from these sessions. Quality is very good, although certainly not excellent. 1) - a version of 'Mark on Me' clocking in at 13:40 (Presumably the version being released officially is shorter and more finished ). 2) A song listed as 'Tell me what you wanna hear' although 'Tell Me What She Wanted' seems closer to what he's actually singing. Clocking in at 2:48, its a track which sounds like it had potential if finished, with a nice rolling riff and some nifty piano work, probably by Johnnie Johnson. It doesnt appear to have lyrics matching any of the new songs mentioned above. 3) The other unreleased song is listed as 'Breakin' (I've also seen it bootlegged as 'My Heart is Breakin'). Its hard to make out the vocals as they're low in the mix but again I cant connect it to any of the new titles listed here. Musically its a bit like 'How I Wish'. Maybe even an early version. 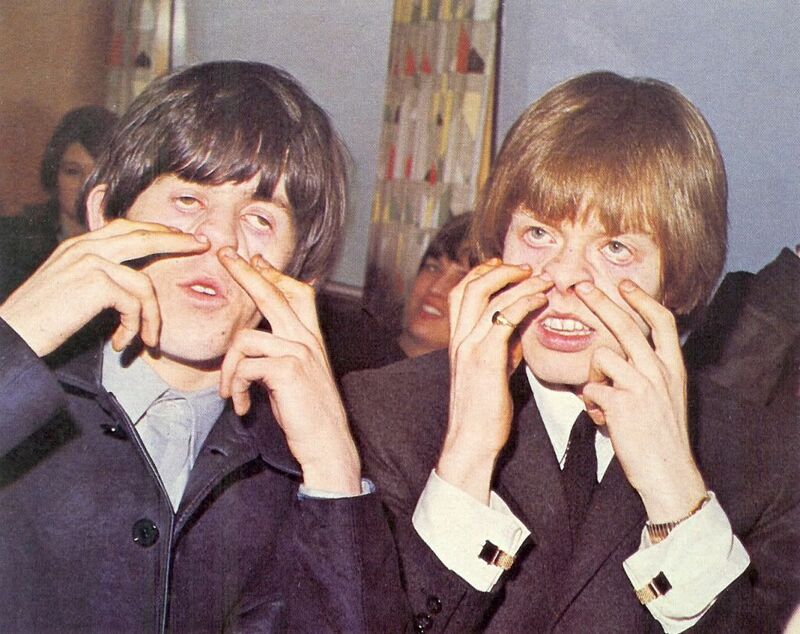 It had been previously tried out by the Stones (without Mick) during the 'Dirty Work' sessions and features on the bootleg 'High Temperature'. The original Virgin LP is audiophile quality. Where's the "'two passes at 'Almost Hear You Sigh'" noted on Wikipedia? Love the My Babe version. Johnny Johnson playing is sublime! Keith was interviewed on BBC Radio 6 by Shaun Keaveny yesterday about the 'Talk is Cheap' reissue. 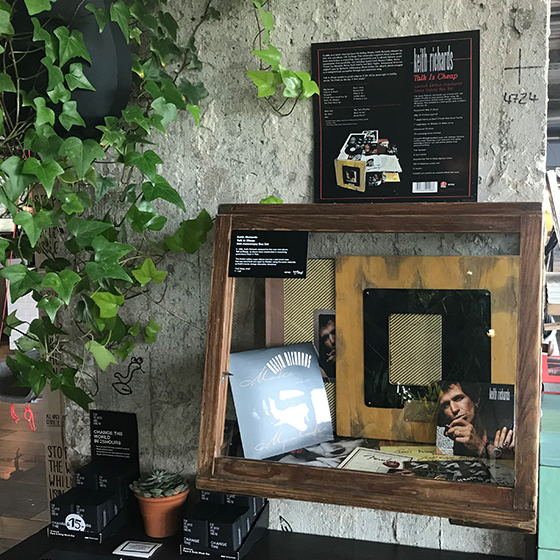 "The super deluxe reissue of Talk is Cheap is in a case hand built and aged by the Fender Custom Shop using the same wood, plastics and metal as Keith's Micawber Telecaster! Tap link on @officialkeef profile to preorder or visit store.keithrichards.com!" With Mick Taylor as a guest! Keith Richards’ debut solo album Talk Is Cheap will be celebrated with the release of a reissue, marking the 30th anniversary of the acclaimed album. 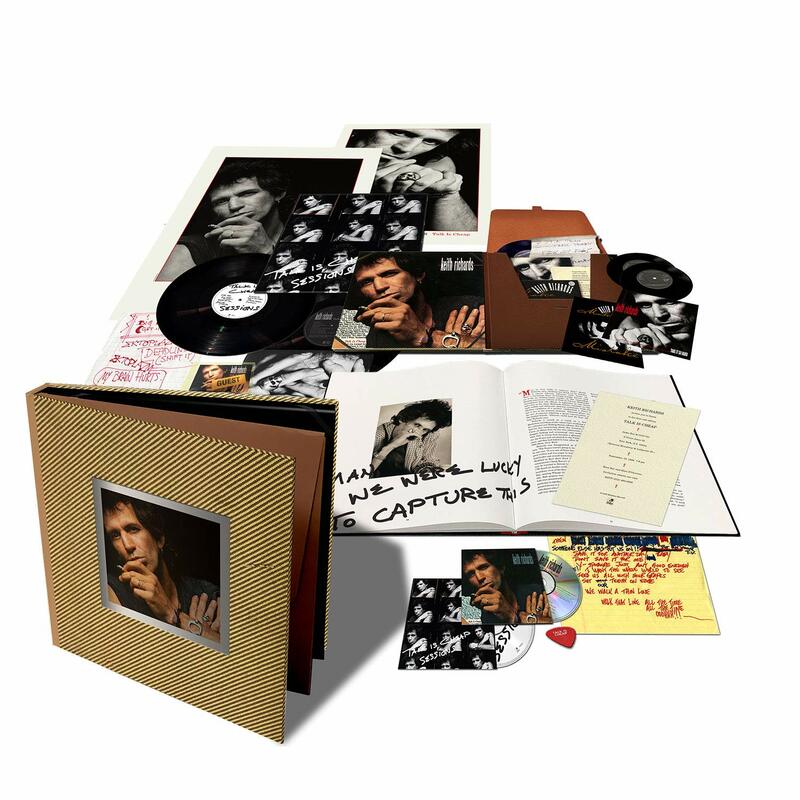 The reissue of the album released by BMG on March 29 will be available in various formats, including a very limited Super Deluxe Box set. Starting on March 22, ‘The Final Five’ will be featured in ‘The Keith Collection’, an exhibition in some of the world’s top Rock ‘n’ Roll hotels including the Karma Sanctum Soho in London, Andaz West Hollywood, 25hours Hotel Bikini Berlin, L’Hotel in Paris and OD Barcelona. ‘The Final Five’ are the last five box sets are produced from this very limited run. Those who are not one of the lucky 1145 people to own a limited-edition box, this will be the only opportunity to see it in all its glory. 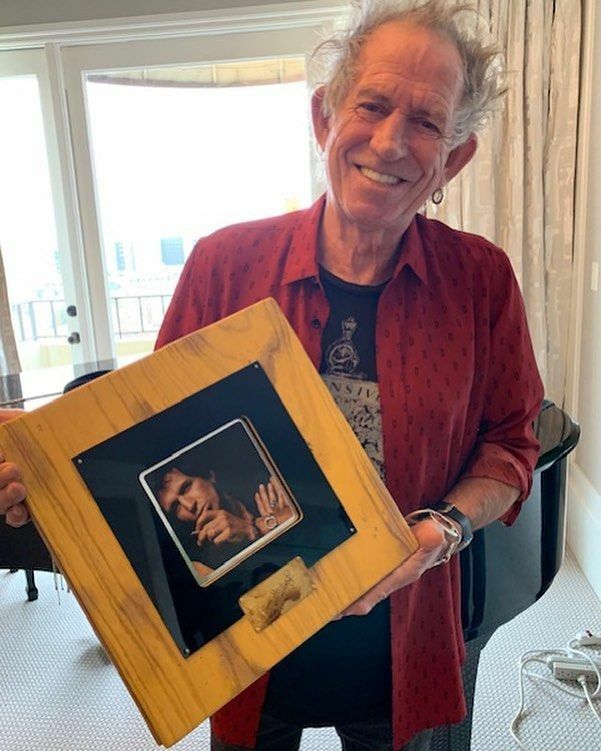 The Super Deluxe Box set comes in a real-wood case that was hand-built and aged by Fender, using the same materials as Keith’s iconic vintage telecaster, Micawber. It took two weeks and 37 Fender staff to complete each box, plus an additional 11 different suppliers of parts and services: from corrugated boxes to graphics on the chrome control plate, to the sawmill cutting the ash. Would have been a great Stones song and a greater Stones album, sadly.